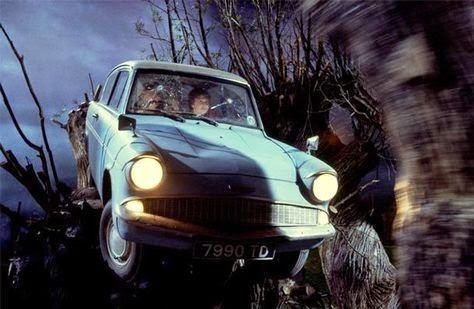 Maybe you still remember the flying car in Harry Potter movies? 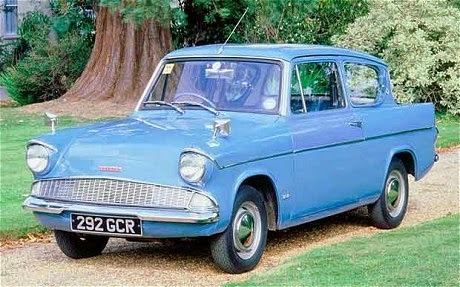 Yes, it is Anglia, an old Ford saloon car. 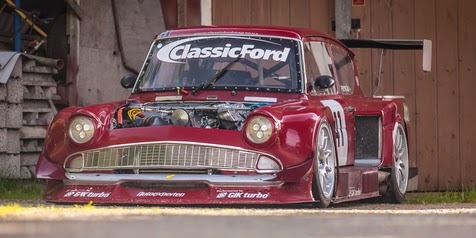 However, after being processed by Leif Frykas, an engineer in Gothenburg, Sweden to be different even if the same material that a clunky Ford Anglia becomes more frightening with a touring car-style. The story begins when his parents bought this car in the 1960s. 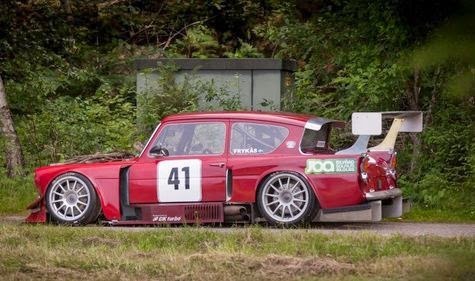 Leif himself decided to bring it to the race in 1973. After a few years, Leif began replacing the engine with a B20 Volvo engine and then the B21 that has a capacity of 2,000 cc. 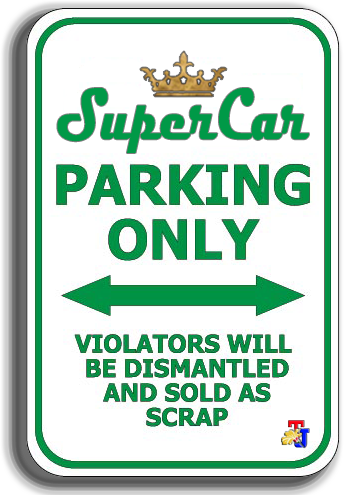 Afterwards, the TOCA Touring Car specification began pinned, eg for the suspension sector. There is also a ZF Alfa Romeo steering rack which is connected to the Porsche 997 Carrera Coupe's electric driving power steering. The next development of increasingly wild, once the engine's nut bounced and the piston knocked to the ground when the engine lauched up to 8,000 rpm!! The execution was worsened when Leif involves his son, Kjell whose then has pinn several components, including the use of homemade flat swing arm and helicopter's bearings!